As a fan of the noble Great Cat and 3D printing, I’m particularly interested in Lionhead, a $1,600 3D printer with built-in scanning facilities. The project, which just hit Kickstarter, is looking for $60,000 to start production of the device. 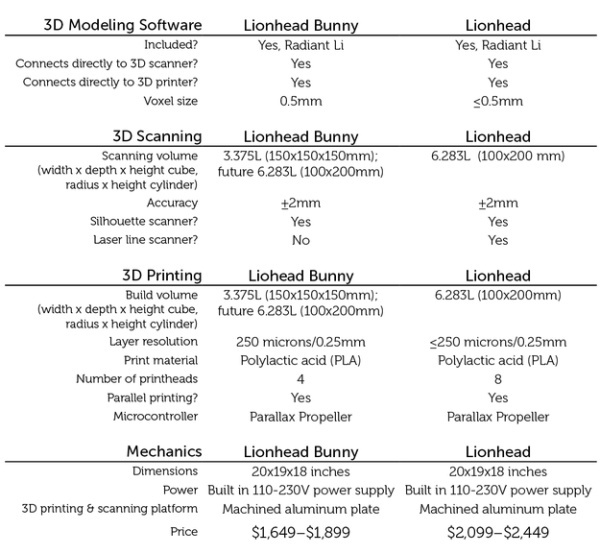 The company behind the Lionhead Bunny, Radiant Li, first explored the possibility of an all-in-one printer back in 2011 and is now ready to start shipping beta units in October. The system uses the print bed to both hold printed objects and to rotate items to be scanned. 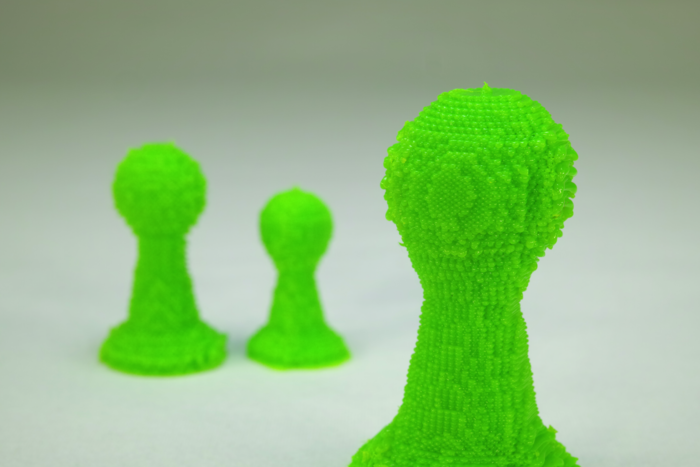 A pair of LEDs and a laser scans physical objects into an editor and then you can modify and print them using up to eight colors thanks to a pair of four-extruder printheads. They are also selling a plain old Lionhead for $2,400. This model comes with a 100x200mm print bed vs. the Bunny’s 150x150mm bed. Arguably the +/-2mm scanner quality is a bit rough – you can see an unedited example below – but a little smoothing and some effort should result in a nice .25mm print. Is this the best 3D printer/scanner combo you can buy? My gut tells me that it isn’t, but at $1,600 you’re getting a solid, standard printer with an amazing multi-printhead setup and a scanner. On price alone that’s far better than most mainstream printers. They also have a stretch goal of $120,000 which will allow you to print multiple colors in one object, similar to the botObjects printer. Also keep in mind that this looks like a very beta device and the lads at Radiant haven’t even figured out all the cool things they want to with their product. However, that doesn’t mean you should look an 8-extruder Lionhead in the mouth.